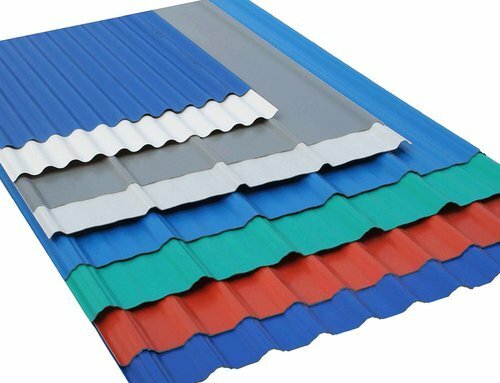 For the retail segment, the pre-painted corrugated sheets and profiles are branded as JSW Colour on (Colour Coated Galvanised Sheets) and JSW Colour on+ (55% Aluminium-Zinc Alloy Colour Coated Steel Sheets) ... The paint used to coat the base metal is also toxin free. Incepted in the year 2010, Glorious Enterprises is an eminent entity indulged in Wholeselling, Retailer and Distributorship of huge compilation of E.R.W. Galvanised, Black Pipes & Tubes, Hollow Sections & CR Tubes, M/s Pipes & Tubes, GP Pipes & Tubes, Metal Sheet, M/s TMT Bar, M/s Beam, M/s Channel , M/s Angles, M/s Patta and all kinds of structural steel suppliers etc. These are in conformism with the guidelines defined by the market. Along with this, these are tested on a set of standards prior final delivery of the order.